Fr Jean-Marie Guillaume replaced the SMA Superior General, Fr Kieran O’Reilly, following his appointment as Bishop of Killaloe in Ireland. Fr Jean-Marie was born in Pontarlier (Doubs) in the diocese of Besancon, France in 1939. 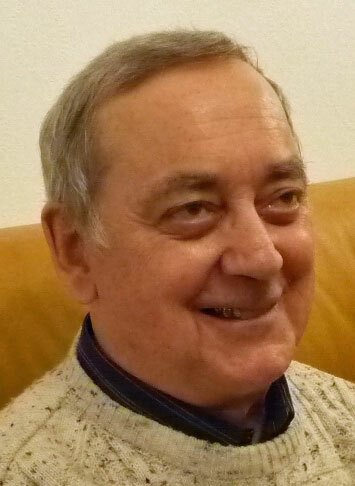 After studies in Faverney, Chanly (Belgium) and St Pierre, he became a permanent member of the Society of African Missions in 1965 and was ordained to the priesthood the following year by Bishop Lingenheim SMA. After his ordination he was send to study at the Biblical Institute in Rome. He completed his studies with a Doctorate at the University of Strasbourg while he was in charge of the SMA students house. He studied English in London 1975 – 1976. Fr Jean-Marie was a missionary in several African countries and in particular he was involved in the training of African seminarians, both for the local church and the SMA. He was on the staff of the Ss Peter & Paul Major seminary in Ibadan, Nigeria (where he taught Sacred Scripture) and was also the Rector of the SMA Foyer in Ebimpé, near Abidjan, Ivory Coast while lecturing in the Faculty of theology at UCAO, Abidjan, and in the local major seminary. He has published several works on the Bible. Qualified in Sacred Scripture, he speaks French, Italian and English fluently and has some knowledge of German. For many years he has been called on to serve on different international Commissions and to facilitate the General and Provincial Chapters of some congregations and societies, both male and female. He has served in many administrative posts in the Society – he was elected as SMA Vicar General in Rome (1983 – 1989). During this period he was closely involved in the establishment of the SMA in India and the relaunching of the Society in Poland. In 1995, he was elected as Provincial Superior of the Strasbourg Province (1995 – 2007). At the 2007 SMA General Assembly he was elected once again as the Vicar General of the Society. Now, in accordance with the SMA Constitutions & Laws, Fr Jean-Marie will complete the present mandate up to 2013 when the next General Assembly will be held. We look forward to welcoming Fr Jean-Marie to Ireland shortly, where he will attend the Episcopal Ordination of his predecessor and we assure him of our prayers as he takes on this additional responsibility of service and leadership in the Society of African Missions. May the Lord watch over him and fill him with His blessings. Bishop-elect O’Reilly SMA will be ordained as Bishop of Killaloe on 29 August in the Cathedral of Saints Peter & Paul, Ennis, Co Clare.